FACT LIverpool will be launching a new project and app this coming Wednesday with what sounds like some sort of transactional app utilising digital currency and real live people. The A Moeda project, an experiment which will attempt to send digital coins on a journey around the world using cutting edge technology. A MOEDA presents a model where humans are vehicles for coins, and coins are vehicles for humans. The Snowflake Trail returns for a third year on 1 December 2016 and Open Culture CIC and Liverpool BID Company are once again seeking proposals from artists and creative organisations to design and decorate fibreglass snowflakes to form part of the trail. Liverpool Irish Festival returns in October with a programme of culture, performance, films, music and talks. It runs from 13 - 23 October. We're coming to the end of quite a tumultuous year in Irish culture, the end of the Easter Rising centenary, which we'll reflect in our programme. We're also two months after the Brexit referendum which portents a profound shift in the UK's relationship with the island of Ireland. We have a wealth of potential new Irish citizens with those looking to maintain EU citizenship. 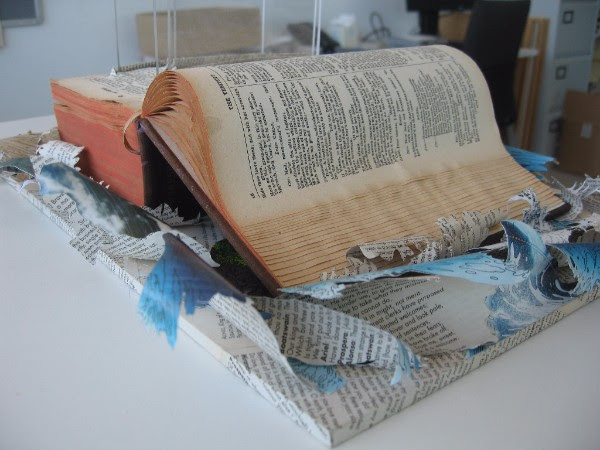 Liverpool Central Library will host a unique opportunity for visitors to meet artists who make ‘book art’ and to buy directly from them on 8 and 9 July. Founded by former Chairman of the Bluecoat Simon Ryder, the fair is now in its third year. Works for sale include cards and hand-crafted notebooks; limited editions of books of text and illustration; hand-made papers; and unique book sculptures. Prices range from around £5 into the hundreds.